Cut the tomatoes in half as straight across the diameter as you can. Place all of the tomatoes, cut side down on the cutting board. Insert the toothpick through one half of a tomato and slide it up the toothpick. 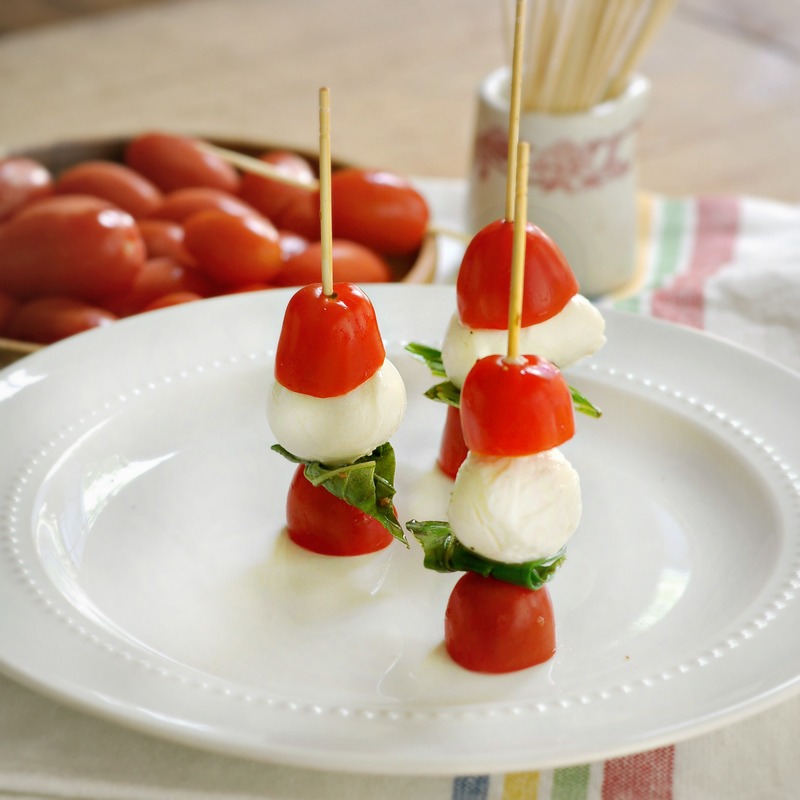 Skewer a mozzarella ball and slide it up the toothpick until it is touching the tomato. Place one small basil leaf (or half of a large leaf onto the skewer). Then with the tomato resting on the cutting board, cut side down, insert the toothpick as straight as possible into the tomato so that the tomato makes a base for the remainder of the toothpick. Sprinkle with salt and pepper. (Don’t be shy with the salt – these appetizers need it) Drizzle with balsamic vinegar. Serve cold. 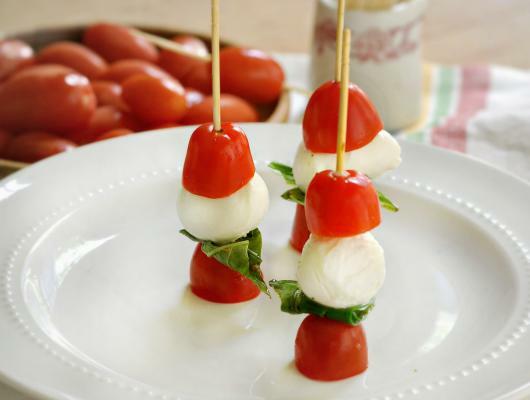 Simple salad on a stick that you can take to a party, get together, shower or just enjoy with your dinner!